She was a a Head Start Teacher at Lake Cumberland Head Start. She was a member of Christian Chapel Church of Christ. She was the daughter of Richard B. Hayes "Rich" and Adgie Clare Coop Williams. She leaves 15 direct living descendants. Carolyn Williams Crawley, 71, of Burkesville, KY, passed away on Monday, May 21, 2018 at the Cumberland County Hospital in Burkesville. The funeral service will be conducted on Sunday, May 27, 2018, at 2pmCT in the Memory Chapel of Norris-New Funeral Home, 601 N Main Street, Burkesville, KY. Burial will be in the Christian Chapel Cemetery in Cumberland County, KY. The family will receive friends after 4pmCT on Saturday, May 26, 2018 until the funeral hour on Sunday. She was born in Cumberland County, Kentucky on Sunday, May 18, 1947. She was the daughter of Richard B. Hayes "Rich" and Adgie Clare Coop Williams. She died Monday, May 21, 2018, in Burkesville, Cumberland County, KY, at the age of 71 years and three days. 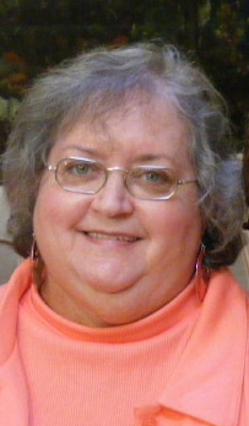 She was a member of Christian Chapel Church of Christ and a Head Start Teacher at Lake Cumberland Head Start. In addition to her parents, she was preceded in death by her husband, J.H. "Foots" Crawley whom she wed on Saturday, November 20, 1965, her nephew, Ronnie (Buddy) Thrasher, her nieces, Dunfee Carol Harrington and Leticia Capps King. Five great grandchildren, Jackson Webb, Kinsley Denney, Allie Webb, Nelson Webb and Kassidy Denney. Send condolences to the family of Carolyn Crawley. 2018-05-27 - 601 N Main Street, Burkesville, KY - Photo from Norris-New Funeral Home.